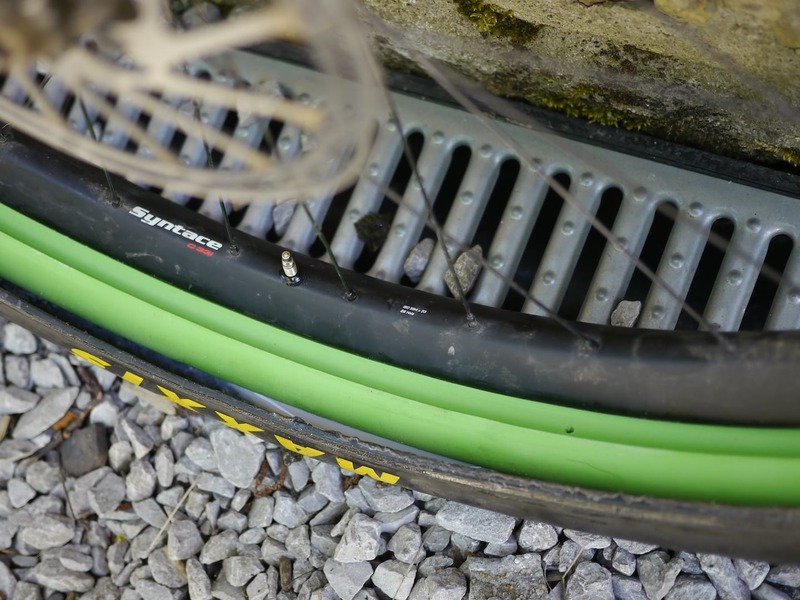 Tubeless tyre inserts claim to offer additional protection for your mountain bike rim, so you can run lower tyre pressures for improved traction. The Vittoria Air-Liner is one of the newest on the market, so we got our local rim-dinger, David Hayward, to put them through the grinder as part of a tubeless insert group test. Over to David! Originally I planned to ride into the office, strap these to my pack, then ride home. Then I saw them up close. They’re very big. I got Chipps to run them home in his car instead. Probably not going to fit in your riding pack. If something goes wrong in the middle of nowhere, requiring a tube and tyre boot, you’ll not be stuffing Vittoria’s Air-Liner into your pack unless you have a comedically massive one. Removing it on the trail isn’t really the idea though; with an 80kg rider, Vittoria rate this insert for a two thousand hour service life, or one hour used as a run-flat. That’ll get you home on a slashed tyre, or at least somewhere. For racers, that could also mean the difference between finishing or not. Lack of stashability applies to most rim protectors I’ve been testing, but the Air-Liner in particular is a handful. The easiest way I’ve found to store it is to first make it wheel shaped, then store it in the same place I store wheels. The Vittoria Air-Liner comes in four sizes, depending on your tyre width. To suit the 2.4in tyres I typically use on my test bike, I’ve been using a Medium size Air-Liner. Wil has also been testing one in his back tyre during a two month trip around Europe, and he went for the Large insert for use with a 29×2.6in tyre. Vittoria claims that a single Air-Liner insert will weigh between 160g-220g, depending on the size and the diameter you trim it to. However, the Large size insert came in at 247g (27.5in) and 292g (29in), which put these at the heavier end of the scale. Installation requires a degree of patience, particularly with getting the last bit of tyre bead in place. Tyre inserts are one of those things that’s new enough, and have a few tricks to fitting, that most companies making them have put out a video showing how. Vittoria are no exception, and have a good tutorial. 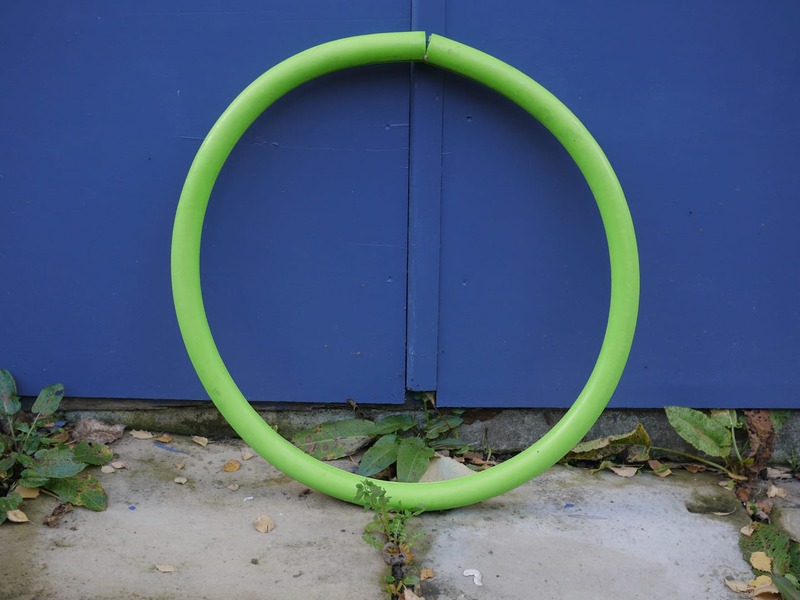 First is sizing it, which is pretty simple: the Air Liner comes long enough to do a 29in wheel with length to spare. Size it on your rim, mark where you need to cut, and slice it with an extending craft knife. Punch two holes with a screwdriver, then zip tie it together. Pop one side of the tyre on, mist the Air-Liner with water to lube it, then stuff it in the tyre. 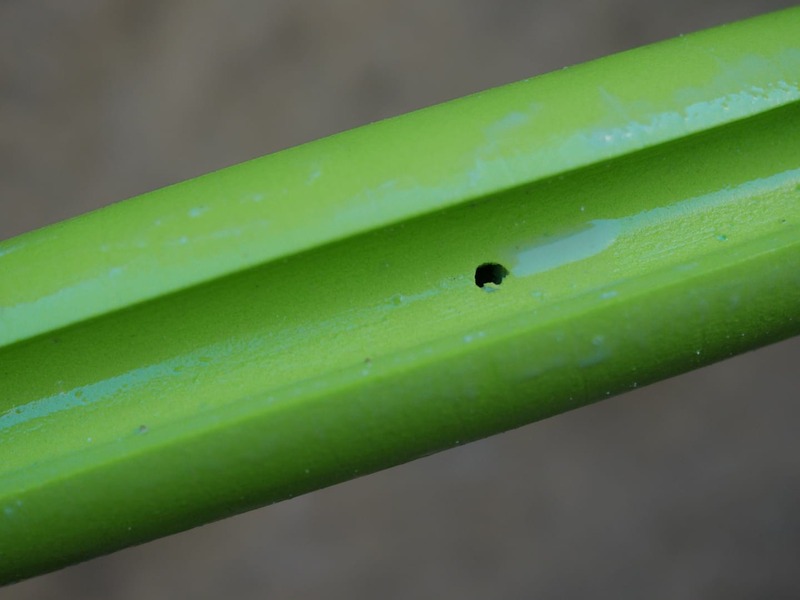 When getting the second bead in, use a tyre lever to stuff it down into the rim well, giving you enough slack to finish getting the tyre all the way on. Add sealant, inflate, and boom. Well, hopefully not ‘BOOM!’, but you know what I mean. 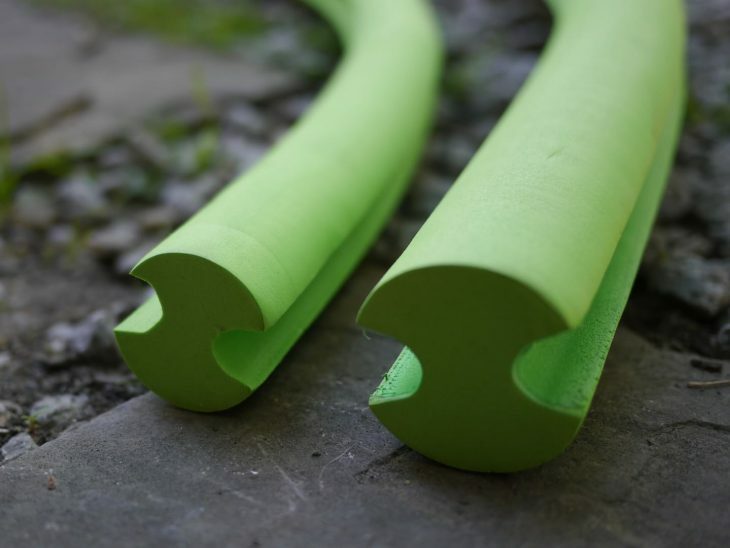 Trim the Air-Liner to length, then connect with a zip tie. I tried the Air-Liner out with several different tyres, and all worked fine with it except one. A Panaracer Pandura tyre I’m testing at the moment has a kind of hex grid texture on the inside of the tyre casing, which made it impossible to tuck the bead far enough under the Air-Liner to get it to seat (the Panaracer Pandura also didn’t play nice with CushCore, which has a similar installation procedure). The tyre texture would grab the insert and pull it in with the tyre, then the insert would spring back, pulling the bead back out to where it started. I gave up on that tyre, but various Maxxis, Onza and Vee tyres all had smooth inner walls that worked just fine. 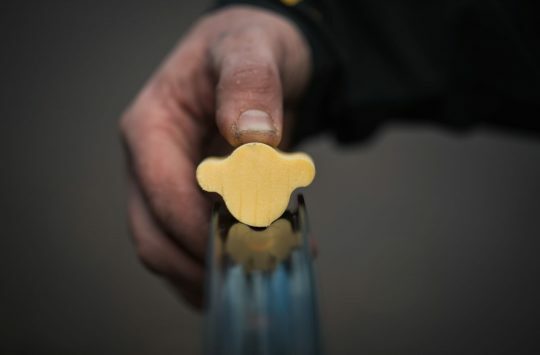 Unlike some inserts, the Air-Liner has just one hole to allow sealant to flow through. I thought this might be a problem, but it turned out not to be. I guess that’s because movement of the wheel constantly forces sealant outward toward the tyre tread, even if it can only drain from the rim side of the insert through that single hole and the join. There’s a single hole to allow for air and tubeless sealant to flow as required. Video: Danny MacAskill Game of Bike - Which Trick Could You Do? I have fitted a couple of these now at the shop. 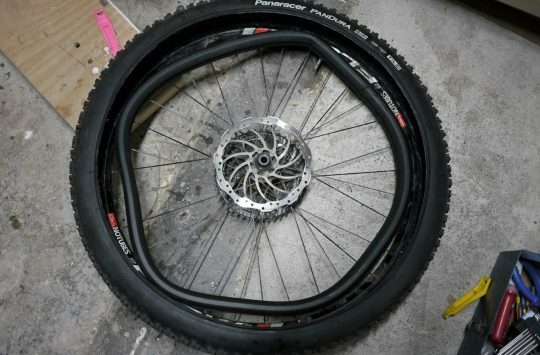 Seems like a good product, especially for e-mtb´s and rough riders who tend to destroy rims left and right. Installation was easy enough as well. Price yeah, but I think most who would benefit from these (either riding hard and not caring enough – or riding expensive rims, or racing) don´t necessarily see it as expensive. For such riders, it is either this, or rim replacements. Permission to fall off my chair at the price of some extra thick draft excluder, Sir. £4.50. Enough to do a pair of wheels and some spare to pad out your frame / bike rack when transporting. @mraueur – For sure. The cost of the Air-Liner I was using inside the rear tyre of the Scott Ransom more than paid for itself off after a fortnight of riding in places like Lake Garda and Finale Ligure. That rear wheel would have been the shape of an octagon otherwise! @robertajobb – Permission denied 🙂 The key problem with the type of foam that you’ve listed there, is that it’s constructed from a very cheap open-cell foam. 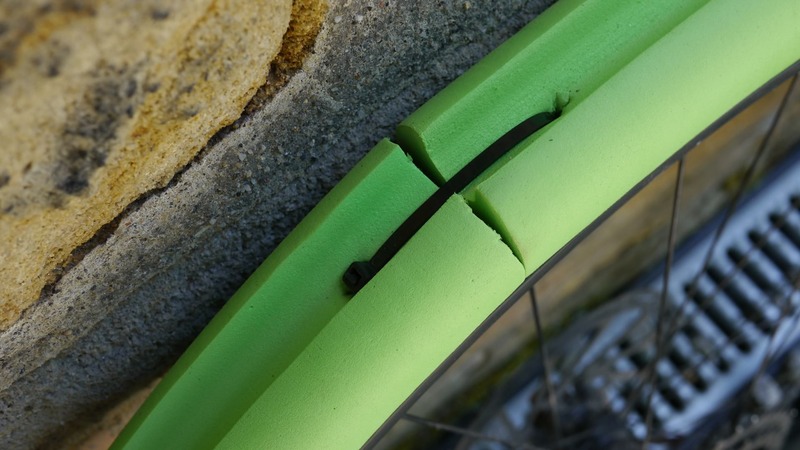 For a start, that means the foam will absorb tubeless sealant, rendering it otherwise useless inside the tyre. The other big problem is that an open cell foam (like a pool noodle) will deform very easily. By the time you pressurise the tyre, the foam shrinks drastically inside the tyre, and at that point it doesn’t offer any meaningful support or rim protection – the two reasons you’d run an insert in the first place. In comparison, Vittoria’s Air-Liner is made from a much tougher closed-cell foam, with zillions of microscopic air bubbles throughout the polymer. This is what gives it the progressive spring rate, and also makes it far stiffer and stronger than the foam tubing you’ve linked to. It’s also why you can basically ride on it with your tyre completely flat – it’ll keep the tyre beads locked in, and it’ll still give rim protection. We’ve got a bunch of other tubeless inserts on test at the moment, and a feature article about the various options on the market, which I think you’ll be interested in – stay tuned! Ok. My last post was a rather tongue in cheek. And if i had a 4-figure-price-tag pair of carbon wheels I’d see them as an ‘insurance policy’ . With them in do you find you have to drop the trye pressure further due to the reduced tyre air volume (now 2/3 of it is semi-solid)? Or is it not discernable ? Does it ALLOW (this vs HAVE to) you to drop the psi further to get even more grip ? If you do drop the pressure further, do you run into problems of the tyre squirming sideways when cormering etc ? Or does the insert actually ‘prop it up’ a bit sideways, so to speak ? Or…Are all these (and more) answered in the forthcoming magazine article and i just need to be patient ? @robertajobb As Wil says, they’re not the same foam as you’d find in anything at your local DIY store. 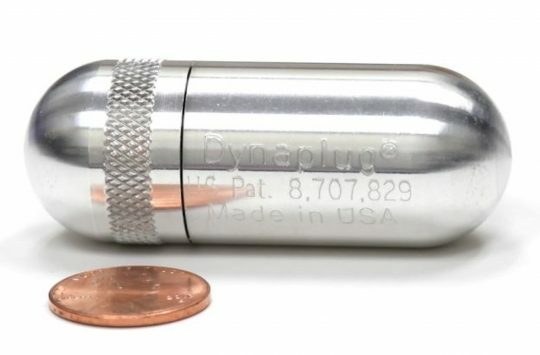 The density is much higher, and they’re making custom extrusions which require tooling (I doubt those dies are anywhere near as expensive as injection moulding, but still a cost). On top of that, they’ll be manufacturing them in much smaller quantities than anything available at a plumbers merchant. I do suspect there are healthy profit margins in some of the inserts I’m testing at the moment, but with the above factors, they probably can’t ever be as cheap as you think foam should be. By all means you can pop a pool noodle or some zip tied strips of garage floor mat in your tyres, and they’ll give a bit of extra protection, but not as much as something engineered to do it. I run slightly higher pressures than most just because I find the squirm quite off-putting. Is the extra support enough that it’s worth it for that? And is this the option with the most additional support? Both CushCore and ProCore lock the beads right down into the rim. I like the colour very much. It’s just a shame they have to be hidden away inside your tyres. I think your numbers are a bit off…. I just picked up a Medium and Large size Airliner. I weighed the large with the full packaging/bag it comes with at 290g on a precision calibrated scale. I took it out of the packaging and only weighed the green airliner and it weighed 250g. Once cut to size with zip tie installed on a 29er wheel, it weighed 240g. for the Medium, it weighed 199g uncut and 190g cut to length for a 29er wheel. The left over cut piece was about 3-4″ long and weighed about 10g. Since the difference in circumference between 27.5 and 29 is 4.71″, the difference between them should be 10-20g, not 45g as mentioned above. Cushcore states only a 10g difference between 27.5 and 29 lengths so this helps validate my measurements. Anyways, it was a great review and it has convinced me to buy it. Their stated weight regardless is a bit understated for sure! !